I’m not going to lie: the thought of returning to work after spring break sends chills down any teacher’s spine. But the alarm sounded on April 8th, and the inevitable was upon me – Monday morning. For my non-teacher friends allow me to digress and explain a little about the Monday after spring break. The more blooms that appear on trees and flowers and the higher the temperatures have a direct effect on student attention span, and teachers compete with the call to be outside before break. After break – when students have gotten a small taste of being out of school for summer – every day is a test of tenacity for teachers. I feel like I have to do a song and dance every day just so students know that I am in the room. Teaching this time of year is HARD WORK! Even though I dreaded the Monday after break, I had a great day back which set the tone for the rest of the year for me. I spent some time thinking about 1 – what made the day so good and 2 – more importantly how I could replicate this feeling every Monday. 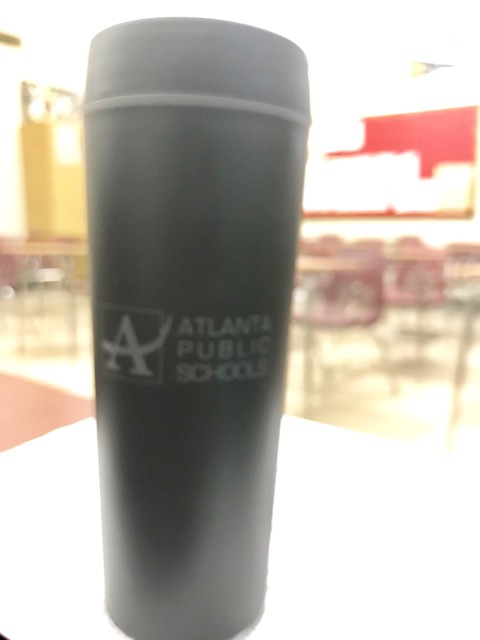 1 – Strong coffee in a large to go cup – this is no time for medium or smooth roasts. 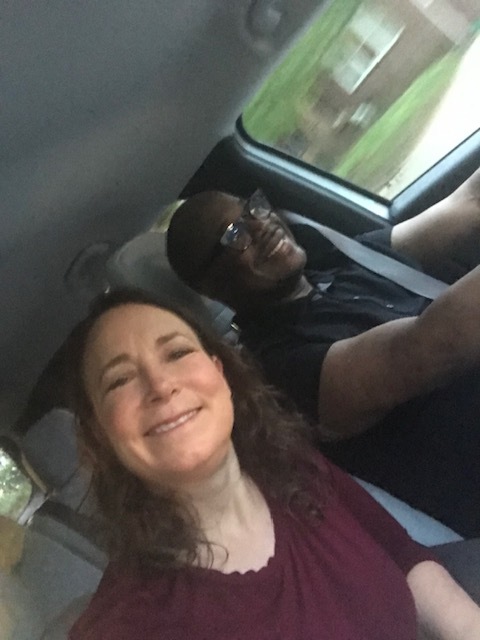 2 – Riding in with one of my favorite coworkers – Since my car was in the shop, Scott took me to Alex’s bright and early, so I could ride into the ATL with him. When Alex and I are together, we laugh A LOT, and that’s a great way to start any day. Me: Do you want to stop at Callie’s and get hot little biscuits this morning? 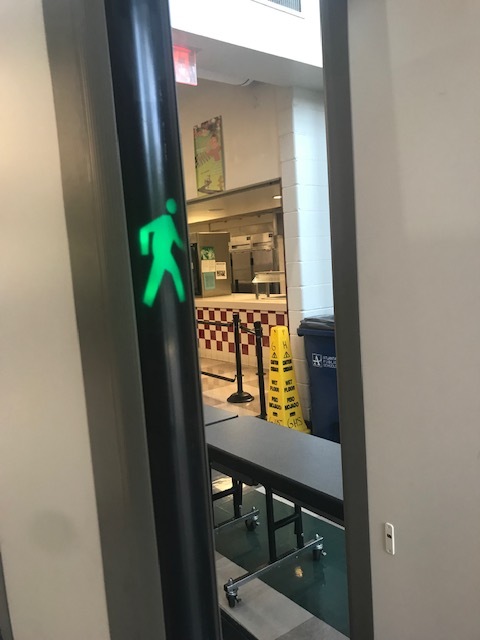 3 – Metal detector duty – I’m one of the weird teachers who actually likes metal detector duty. I like seeing students come in and knowing that by smiling and wishing them to have a good day I may be in some small way helping set the tone for their day. Plus it’s a great time to visit with Mr. Allen, Ms. Breen, and Ms. Blair who have duty the same week and be reminded of all of the junk food you can eat as a teen without gaining weight. 4 – Highly engaging lessons. I knew the Monday after break would be hard not just for me but for my students, so I planned high-interest activity to help buffer the shock of returning to school. As students walked into class, I gave them our standard essay-writing paper and listened to them groan about how horrible I was to have them write an essay their first day back. But when I pulled out the Class of 2014’s letters that I’m about to put in the mail and told my students they would be writing letters to themselves and would receive them in the mail (insert mini-explanation on how mail works) in five years, they were excited and really took this activity seriously. A few even inserted mementos like bracelets, had class members sign their letter, or asked if they could take them home and finish. Then we launched into a satire unit which I purposely saved for this time of year because students tend to enjoy this unit. 5 – Jokes. If you know me, you know I love making people laugh. Whenever I give a presentation, jokes are always the first thing I plan. 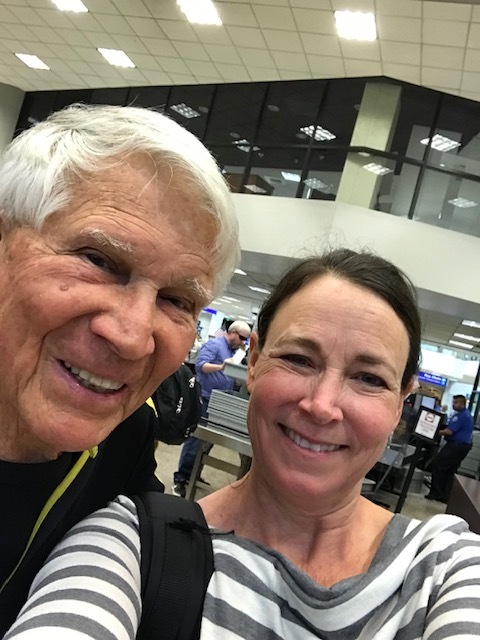 When I was in the airport on the way home from Salt Lake City, I met a retired teacher of 30 years who told me about receiving a Christmas card in the mail last year from a former student with a note thanking him for impacting his life and a check for $10,000!!! When I asked him for advice, he said, “Be sure students know your address.” So on Monday I shared this story and his picture with my students and then wrote my address on the board. It got a laugh every class (plus they needed the visual of how to address the envelope to their future self because students no longer know how to do this). 6 – Hearing a favorite song from another teacher’s room. During my lunch break as I was walking down the hall to fill my water bottle, I heard 10,000 Reasons by Matt Redmond playing pretty loudly from a classroom. I went in this teacher’s room and told her that we sing this song at my church sometimes. She immediately said, “I knew you were a believer the first time I met you” which encouraged me. She went on to tell me about something that had happened earlier that day that really rocked her world and how she was spending her lunch focusing. We spent some time encouraging each other in our work of investing in the next generation and our faith. 7 – Being a part of a surprise. A student came in a little before class and asked if I could help him with a promposal. His plan was to insert a slide into a presentation asking a girl to go to prom. Of course, I more than eager to help. 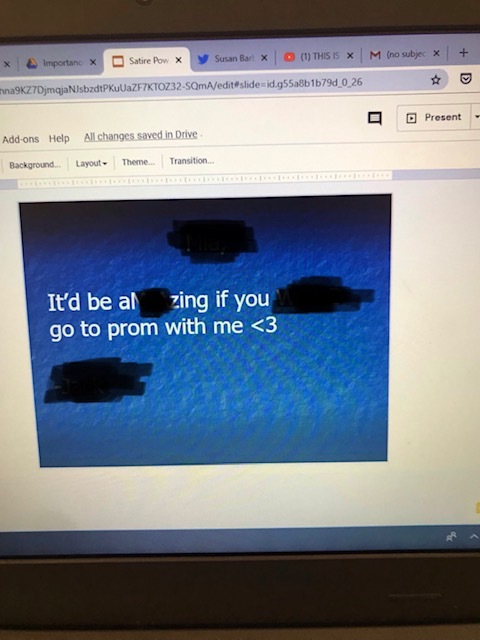 He figured out a clever way to use her name in the promposal (blacked out), and in the middle of satire techniques (maybe not the best lesson for a promposal), this slide came up and she said YES. The whole class cheered, and it was a great moment. 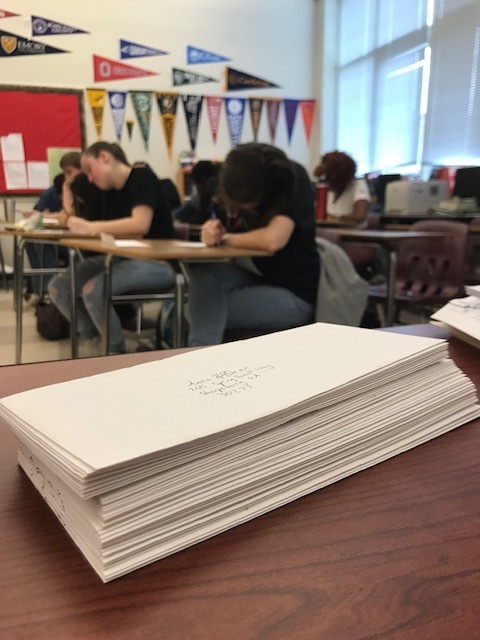 8 – More college admissions letters went up! Those who follow me know that my seniors put up letters once they commit to a school, and the Monday after break, five students brought in letters. 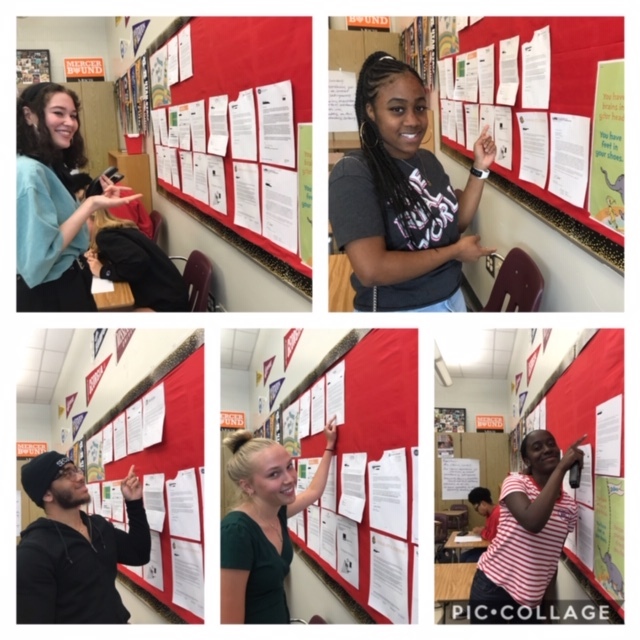 Shout out to these kids for going to Fashion Institute in New York, University of Alabama – Birmingham, Breklee School of Music in Boston, Georgia Tech, and Florida State! All of these things made for a great Monday. The more I thought about the day the more I realized that when it comes to having a good day some things are in my control and something things are not. BUT I do have the power every day to help others have a good day. Here are my takeaways and advice for having a good Monday. 2 – Do kind things for coworkers. (Thanks, Alex, for the ride). 3 – Buy a friend breakfast or bring in treats for your coworkers. 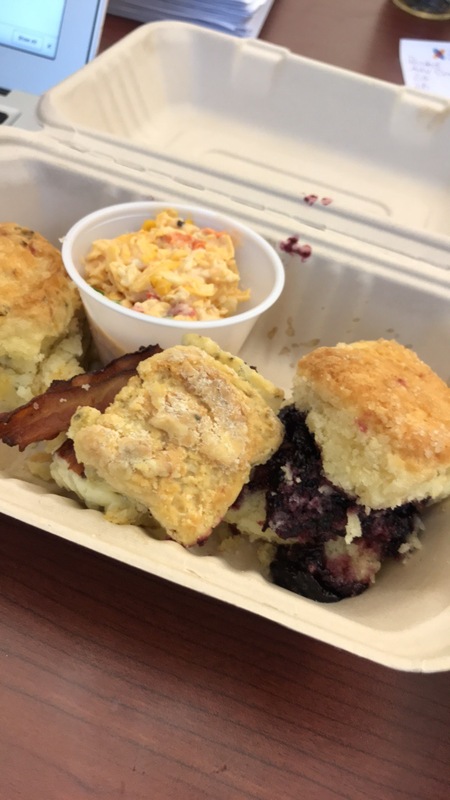 (Biscuits always make life better). 4 – Plan something out of the ordinary. 6 – Don’t be afraid to lean into your faith. 7 – Say YES to others when at all possible. 8 – Join others in celebrating their milestones.